• Eating breakfast restores glucose levels, improving concentration and memory, boosting your mood and lowering stress - hence the importance and popularity of breakfast clubs in schools. • Breakfast provides the calories/energy you need to perform everyday tasks. Studies show that breakfast kick-starts your metabolism, makes you more active and can improve endurance exercise performance. • According to the NHS, “ Eating breakfast has long-term health benefits. It can reduce obesity, high blood pressure, heart disease and diabetes”. • If you skip breakfast, you’re more likely to binge on high calorie, unhealthy foods later in the day, as a response to hunger. 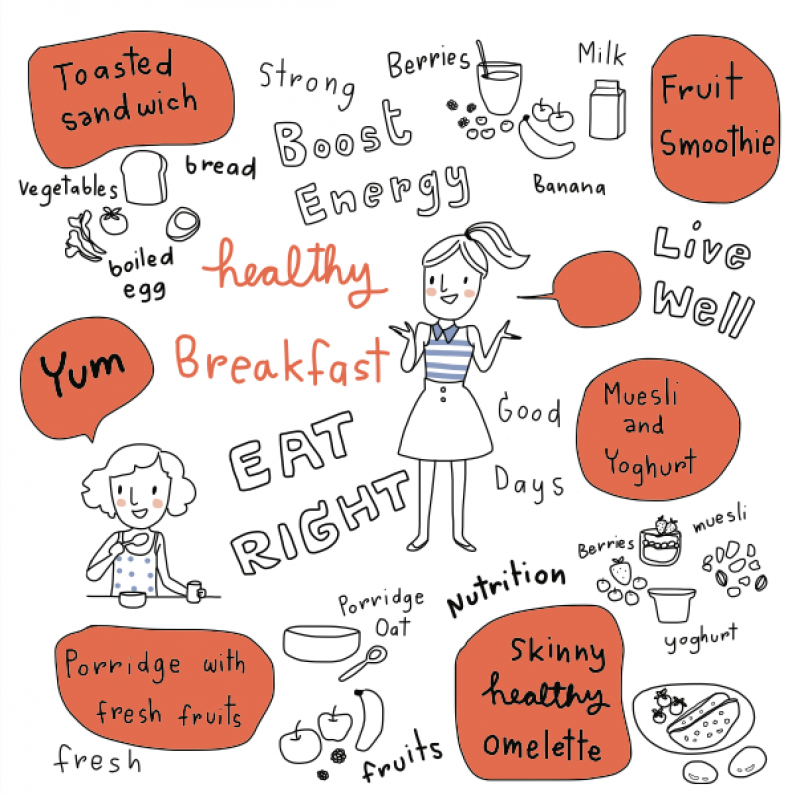 Having established that eating breakfast is important, it’s also essential to steer clear of sugary breakfast cereals and energy bars and make healthy food choices to start your day. And don’t make lack of time an excuse; Read our breakfast ideas blog for some inspiration!